The Posey Pecan was discovered as a seedling tree in Gibson County Indiana in 1911. The fact that it is still around and still known for producing a regular crop of pecans is a testament that Posey is a reliable pecan. 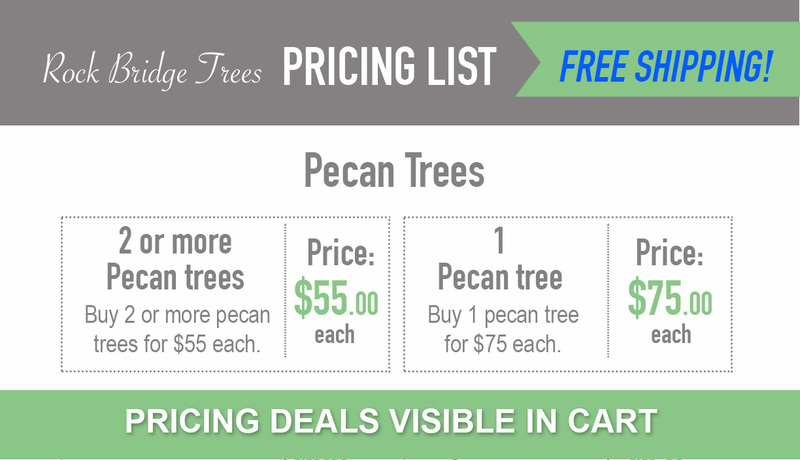 The Posey Pecan is resistant to pecan scab which is very important for those who don’t want to be bothered with a tree that must be sprayed to produce pecans. Scab resistance makes Posey a clean healthy looking tree through the whole summer season. Posey has large, dark green lush leaves and makes a beautiful yard tree. 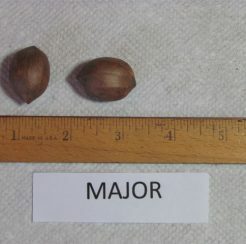 The nuts have a thick winged husk that is distinctive among pecan varieties. 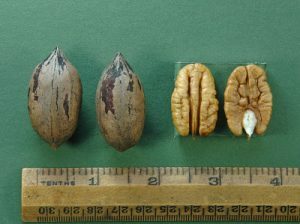 Posey is a type 2 pollen producer and produces pecans that measure 68 per pound. The pecans ripen around September 22nd a full month before Stuart. Nut quality is good. The kernels darken quickly which is considered a defect in the marketplace but for home use it has no effect on taste. Posey bears a modest crop every year which helps it resist the cycle of bearing in alternate years, a common trait of heavy cropping varieties. 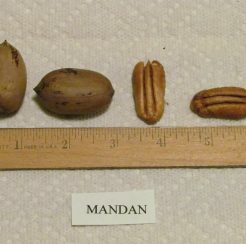 For northern areas, the Posey Pecan is a good reliable pecan. For home production it can’t be beat for healthy foliage and good tree structure. Paired with Yates 68, Major or Mandan as pollinators you will have an annual supply of Americas favorite native nut. I have had this variety for several years! I agree with this seller that it is a beautiful yard tree and a great pollinator for varieties such as Major and Mandan! As mentioned, the nuts are a little dark compared to others but the pecan has a very tasty buttery flavor! 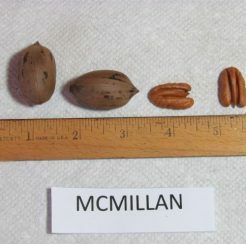 This is my favorite pecan cultivar!